We have created four tools. One tool searches for a diagnosis or helps you to create a specific diagnosis. The second tool helps you create a list of treatments. The third tool is a calculator, which helps you calculate the science of medicine behind each treatment. The last tool helps you organize medical references and their statistics. We believe in shared decision-making, patient empowerment through transparency, and better patient engagement. We hope to be able to move all these tools onto our website and onto mobile devices soon. However, there is a lot of programming involved. Ebola has killed over 10,000 people in Africa according to the World Health Organization. Something very simple could help a lot of people; it's called shared decision-making. Shared decision-making means that you know the facts, you discuss the facts with your doctors and nurses, and you make decisions together. Did you know that a physician in Africa has promoted a treatment for Ebola that has zero clinical evidence to support it? What if Africans and the entire world had a website that rated the science of medicine behind treatments so these situations would be obvious? We have created software to help you create a list of treatments for Ebola (and all other diseases), and our software also helps you rate the science of medicine behind those treatments. Please watch the movie this link takes you to. It explains how we want to help patients, physicians, nurses, and all healthcare professionals understand the science behind Ebola treatments. 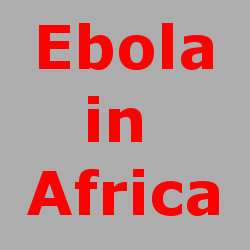 We will create a list of treatments for the Ebola virus infection in Africa. We will rate the science of medicine behind those treatments according to the medical literature using our new health information technology tools - and we want you to rate the science as well. We think we have already found something very important in the medical literature about treating Ebola in Africa. Certainly, all Ebola treatments should be examined for the science of medicine behind them, because so many people have died from Ebola already, many are dying now, and because so many more will die in the future. We have created educational products: a diagnosis search tool, a treatment list tool, an organizer tool, and a tool to help you rate the science of medicine behind medical treatments. When the website and mobile applications are done, we want you to use these tools so that you can study the medical literature and adjust the ratings of the science of medicine using evidence-based medicine guidelines according to your own educational needs. This is the only way we can ever have true "personalized medicine" and "shared decision-making." Patients are the players in healthcare with the greatest needs. We want to help them with "treatment transparency." The first step is understanding the science in the background, which is mostly hidden from view now. We can start looking at one disease at a time, build treatment lists, and perfect the tools to rate the science behind those treatments. As we improve the tools, we can move on to breast cancer, prostate cancer, colon cancer, the common cold, the flu, and every other disease. DISCLAIMERS: WE DO NOT CLAIM TO CURE, treat, or prevent Ebola or any other disease. We are an educational system to teach you how figure out the science of medicine behind treatments, which should be the starting point for shared decision-making for all diseases. We are organizing and rating the science of medicine behind treatments, we are NOT rating the treatments themselves. These are two different things. We help you to review the medical literature and quantify the science of medicine behind treatments, but you cannot use this information to treat yourself or others. We make no claims about accuracy, in fact, we claim ZERO ACCURACY. We are an educational exercise only. You must see your own licensed medical professional for treatment. We are an educational exercise, not medical guidelines. We are looking at the past medical literature; we cannot predict how treatments will work for you or anyone else going forward into the future. Choosing a treatment also involves clinical experience, making the right diagnosis, and knowing all about someone after a medical history, physical examination, and testing. Our software system is not designed to know these things. In addition, the medical literature can be wrong. SO YOU MUST SEE your own physician or other qualified medical practitioner to help you choose a treatment or treatments. The problem for patients is that the medical literature is like a huge, dark, underground cavern of 22.5 million medical studies. It’s difficult to get into the cave, and after getting down inside the cave the obstacles to understanding the medical literature are numerous: difficult medical vocabulary, no access to full-text studies, unfamiliar statistics, and no clinical experience. Every once in a while, a physician (or other expert) enters the cave, shines a flashlight into the darkness, and comes out to explain a very narrow area of the hard scientific data to a patient. Then, it all goes dark again. 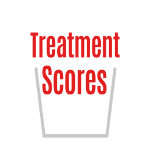 Our Treatment Score Analyzer™ goes into that huge dark cavern, wires it with electricity, and turns the lights on forever by producing Treatment Scores™. Let's focus on patients, doctors, nurses, and all allied healthcare professionals and what they need to better understand treatments.